Brian brings a unique blend of expertise in dog behavior, combining experience in training, daycare, boarding, and rescue. 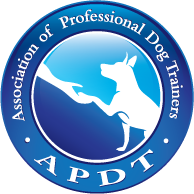 He is mentoring under our Senior Trainer, David Roos, and is in the process of becoming a becoming a Certified Pet Dog Trainer (CPDT-KA) through the Certification Council for Pet Dog Trainers (CCPDT). He assists with classes, is a Canine Good Citizen evaluator for us, provides Stay and Train instruction, and is an evaluator for our dog-walker certification program. Brian hopes to open his own shelter some day that will rehabilitate dogs. He has found that one of the surest ways to keep them out of shelters is through structured training, discipline, and care. Prior to becoming a trainer at Tucker Pup's, Brian volunteered as a dog trainer at K9s for Veterans. This is a non-profit located in Chicago that helps military veterans who have post-traumatic stress disorder (PTSD). The organization rescues dogs from shelters, trains them to be service animals, pairs them with veterans, and teaches the veterans on proper dog handling and working with their newfound companions. He has spent countless hours training rescue dogs to assist their veterans with everyday tasks, not only rehabilitating the dogs, but helping readjust to normal life. Brian helped select the dogs that would go into the program, and evaluated them before they go home with their veteran. He also attended public settings classes, which revolve around acclimating the veterans to regular life with their new service dog. Additionally, he helped create the weekly curriculum, ensuring the dogs and veterans had practical and useful tools to use in their everyday lives. He continues his education in the canine world by watching online webinars and lectures from the world's leading trainers, reading literature about dog behavior, and apprenticing under Tucker Pup's Senior Trainer, David Roos. In addition to being a trainer at Tucker Pup's, Brian is also a senior dog handler here. In this role, he manages large play groups. He is very dedicated to learning about dog psychology and understanding the unique personalities of the many breeds that walk through the doors of the facility each day. This perspective is invaluable in understanding dog behavior. Prior to working at Tucker Pup's, Brian volunteered at Big Dog Ranch Rescue (BDRR), located in Florida. BDRR is a leader in the national animal welfare movement, through compassionate, innovative rescue practices and transformative educational programs. At BDRR, he spent his days taking care of dogs who had no place to call their home. There he learned proper ways to handle fearful and reactive dogs and to prepare them for their forever homes. This led Brian on his path to working with dogs as a career. Brian moved to Chicago and searched for a business that only used positive reinforcement to continue his professional work with dogs. This is how he came to Tucker Pup's. 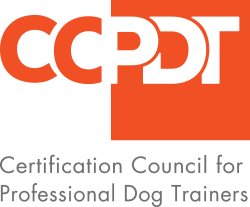 Certified evaluator for the Canine Good Citizen (CGC) program. Certified evaluator for the Canine Life and Social Skills (CLASS) program. Smile, laugh and teach! I once heard a trainer say "If you’re not smiling and laughing with your dog, you’re most likely not having much fun." This is something I consciously keep at the forefront of my mind and weave into my everyday life when working with dogs. Interactions with dogs, whether it be in the backyard throwing the ball, in the kitchen around the dinner table, or in the different avenues of training, should always be a positive experience. A disciplined and happy dog is my philosophy. I am a firm believer that dog training is about understanding the natural instincts of dogs, how they learn and how to read their energy, body language, and needs. I strongly believe fear is an unnecessary part of training your dog. In exchange, I rely heavily on calm energy and play to the dogs strengths in order for the dog to feel at ease and comfortable in my presence.